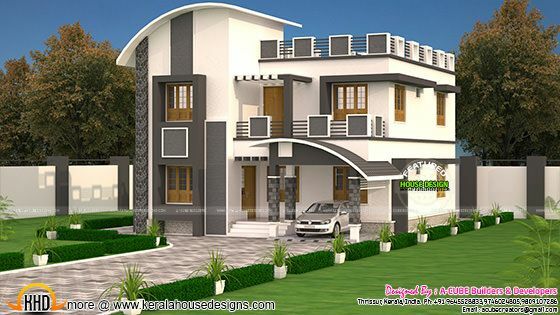 1983 Square feet (184 Square Meter) (220 Square Yard) curved roof mix 3 bedroom house plan. Designed by A CUBE creators, Thrissur, Kerala. Ground Floor - 1268 Sq.Ft. First Floor - 715 Sq.Ft. Total area - 1983 Sq.Ft. 0 comments on "1983 sq-ft curved roof mix home"